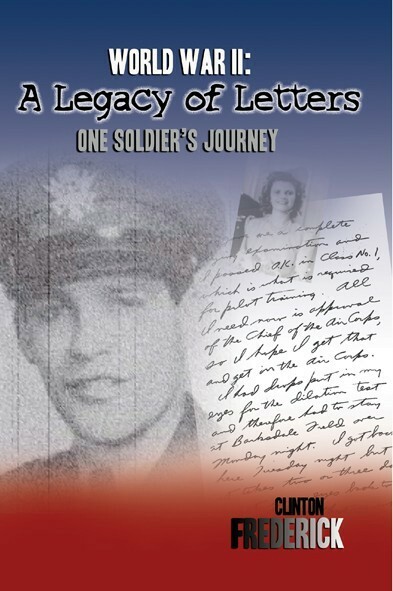 I wrote a book concerning the 5th AAF in WW II that I am sure some of your members will find the book fascinating. The story is from letters he wrote home to his mother - I found them in 2002 - they had not been touched for over 50 years. My father, Capt. George F. Frederick - a glider pilot - was transferred to the South Pacific in April 1943 with a contingent of 52 glider pilots and mechanics - it was the result of desperate plea by General Kenney for pilots - "Send me the WACS - it will free up some of my staff so they can fly planes!" - He was stationed in Port Moresby, NG - and was placed in charge of the 6th Air Liaison Party - their C-47 crash landed in the taking of Lae at Nadzab on Sept. 6th, 1943. According to the Historical Records at Maxwell AFB it took them 3 hours to unload their jeep but were on the air for 26 straight hours broadcasting for the bombing. He returned to Nadzab and was placed in charge of coordinating the Air Liaison Parties - (he didn't like it since he didn't get to fly very often) - On Feb. 26, 1944 he was placed in charge of the 12th ALP for invasion of the Admiralty Islands. Gen. MacArthur didn't make the decision to advance the date until just a day or two before. There he landed on Los Negros Island in the 1st wave with the 1st Cavalry Division and was broadcasting from the beach directing the bombing and strafing within 20 minutes. He kept a day by day diary (morning report that I obtained from Maxwell AFB) where he was involved in the battle for the Admiralties for all of March 1944. For the bombing the entire bomber force was ordered to be utilized, supplemented by three fighter squadrons. For this effort he was awarded the Legion of Merit. For the Admiralty Islands my father was assigned to Headquarters - according to one of his letters his boss was General Whitehead. Previously I believe he was with the 309th Bomb Wing.